Your Range Rover ® will always benefit from an annual service. Enhance the value of your vehicle by maintaining a good service record. Our Range Rover Servicing may also help you to avoid expensive repairs. Preventative maintenance is always cheaper than a breakdown or failure. We are not a Land Rover main dealer but we have been servicing Land Rovers and Range Rovers since 1957. We promise that your vehicle will be serviced by a qualified technician with several years of experience. Using our comprehensive service schedules your manufacturer warranty is unaffected. We will use our knowledge of the Range Rover to identify any problems. 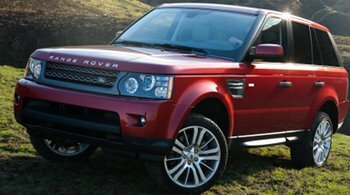 The Range Rover Servicing prices above include all parts, labour and VAT on our standard schedules. We will call you with a quote including any optional extras based on the vehicle registration and mileage provided. Older models may have an Oil Service and Check every 6000 miles or 6 months. Please be aware that this is a limited service carried out at £75 including VAT. It consists of engine oil, oil filter and air filter. It is not a substitute for a scheduled service. We will absorb up to 20 minutes of labour cost if minor problems are found during your service. If further parts or labour are needed to complete the job we will phone you with an estimate before continuing.